El Salvador is a small country with big problems. Just over a quarter of a century ago, it was engulfed in an intrastate war that mutilated both the nation’s economy and its infrastructure, all the while leaving deep social scars – the type that can take generations to heal. And yet, despite the atrocities carried out throughout the 12-year civil conflict – including the death of around 75,000 citizens, most of whom were non-combatants – El Salvador’s reconciliation process was exemplary. Its model has even been used by others since. The economy progressed further still in 2001 as a result of the currency’s dollarisation, which helped to improve the country’s business climate with lower interest rates, reduced transaction costs and cheaper international financing. The agricultural industry too has remained crucial to the state, accounting for some 17.3 percent of total employment in 2015, while the banking sector has helped the inflow of foreign capital significantly, with the country’s five biggest banks now being foreign-owned entities. With the peace treaty in hand, the Salvadoran government was able to implement a series of reforms, which proved to be far more successful than previous attempts at tackling the economy’s once intractable imbalance. As well as structural reforms, improved legislation, better investment security and far more robust government support mechanisms all assisted in encouraging El Salvador’s export potential. The consolidation of a vital export-led development plan, together with the opening up of the economy to foreign investment, has led to the noteworthy expansion of El Salvador’s biggest sectors: low added-value manufacturing, known locally as maquila; business process outsourcing, most notably in the form of call centres; and, of course, agriculture. The peace accords, however, involved a redistribution of agricultural land to families that had been affected by the war. Manzano explained: “This improvement in the wealth distribution – added to a policy of avoiding the previous mistakes of constantly devaluing – has helped double GDP per capita. 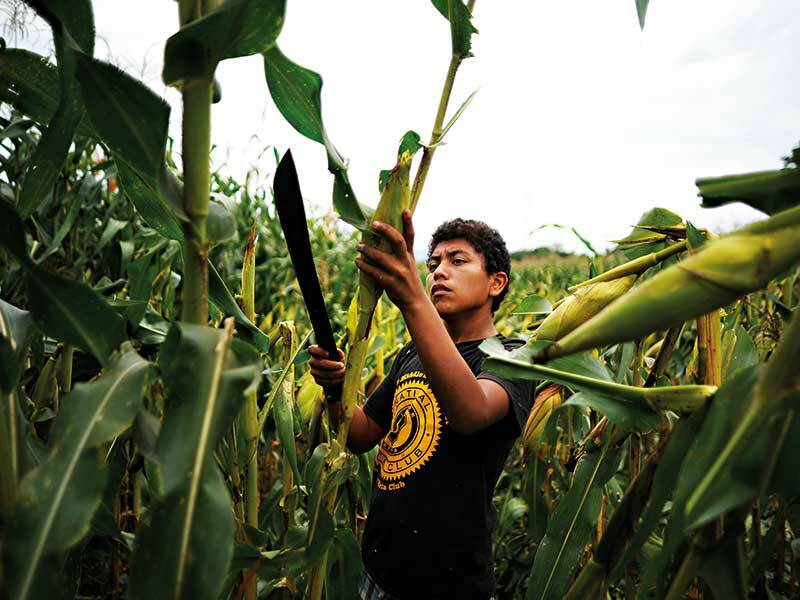 In this, the agricultural sector has been the biggest contributor to families’ improvement of prosperity.” Indeed, the reforms significantly reduced poverty in El Salvador to 26 percent, while also leading to a positive trade balance. It would be remiss to not mention the vast impact that foreign remittances have had on the Salvadoran economy since the 1990s: in 2016, they accounted for approximately 17 percent of El Salvador’s GDP, making them a key source of foreign currency. Despite such progress, prevalent gang violence across the country continues to stunt the potential and persistent development of the economy. In a population of around 6.5 million, it is estimated that as many as 60,000 citizens are involved in gang activity, wreaking havoc in some 247 out of 262 municipalities. According to a study by the Central Bank of El Salvador, gangs are responsible for around 49 murders per 100 citizens, while the cost they incurred to the economy in 2014 was approximately $4bn – equivalent to a whopping 16 percent of its GDP. The threat of gang violence is not only limited to businesses – it remains a titanic menace to the general population, with entire villages having been forced out of their homes in recent years. In fact, in September, a local government entity in the country’s western region created the first settlement camp for internally displaced citizens since the end of the civil war. “Worst of all, gang crime feeds on the more disadvantaged parts of the El Salvador economy”, Lacalle told World Finance. This threat of violence and extortion, together with mushrooming costs to the state in terms of healthcare and security, have severely stunted the country’s economic progress in the 25 years since the end of the civil war. Last year, the Salvadoran economy faced even further peril as it teetered on the brink of collapse – a result of substantial pressure on the fiscal cash flow after years of overspending and slow growth. This could be largely attributed to the government’s failure to fully recognise the consequences of the global financial crisis, and specifically the endemic risk it faced as a result of plummeting export revenues. “Exports fell from $500m to around $100m less very rapidly, at the same time as expenses increased”, Manzano told World Finance. “The government failed to adapt to an environment in which investment and capital inflow seen during the US quantitative easing period changed, and at the same time commodity and agricultural prices fell, while expenses did not. Despite the potential catastrophe of 2016, the state managed to avoid a complete shutdown and even continued debt servicing as usual. This was aided by the approval of the Fiscal Responsibility Law, which decreed an adjustment of three percent of El Salvador’s GDP. Manzano explained: “There is a consensus that an adjustment of such magnitude would not only stabilise the public debt-to-GDP ratio, but would in time reduce the vulnerability of public accounts by reducing the debt ratio. In terms of expenditure, the state must decelerate improvident spending, while also improving targeted subsidies. “Fiscal adjustment measures should be designed so that the burden of adjustment falls primarily on those able to shoulder it, while protecting the poor and vulnerable”, said Manzano. 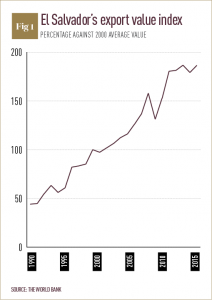 Clearly, investment growth is of supreme importance in further developing the Salvadoran economy. Lacalle explained: “Increasing taxes is not a solution in a small economy that needs investment and inflow of capital. This, not interventionism, is what will help the economy strengthen, continue to reduce poverty and develop a successful middle class.” Yet in order to encourage a greater inflow of investment and capital, tackling the country’s rampant gang problem is absolutely crucial. In the short to medium term, a more robust security system must be enforced to better protect businesses and in turn inspire greater confidence. As of late, the state has been cracking down on gang violence with some success. One method that has proved beneficial was cutting the communication between imprisoned members and their accomplices on the outside. Last year, the number of murders fell by 20 percent to 5,278, while street gang Barrio 18, having been weakened by the government’s increasingly vigorous offensive, offered to renounce extortion. This offensive must continue. The impact of this will be twofold: giving businesses more breathing space, and encouraging greater confidence as a result of a demonstrable crackdown. Greater confidence, however, must start at home. Concerns about corruption within judicial systems, police and prisons not only remain rife, they appear to be worsening: in 2016, El Salvador fell 23 places, to 95 out of 176 countries, in Transparency International’s Corruption Perception Index. Though the arrest of former President Antonio Saca for embezzlement last October was a clear check on power that bodes well for reducing state corruption, there has been a notable push back by the ruling party, which reportedly encouraged threats made by its supporters against constitutional judges. In order to truly crackdown on the problems facing the country, the state itself must be strong and adhere wholly to the rule of law, penalising those who don’t do the same. Many argue that, for El Salvador to enter into a new stage, both as a country and as an economy, a new peace accord is needed. Manzano agreed with this theory: “25 years ago, Salvadorans showed that they can sit together and get to an agreement that gives its economy and population a chance. Today is probably a good opportunity to revive the spirit of that agreement and rethink the next steps that El Salvador needs to take to further develop its economy. 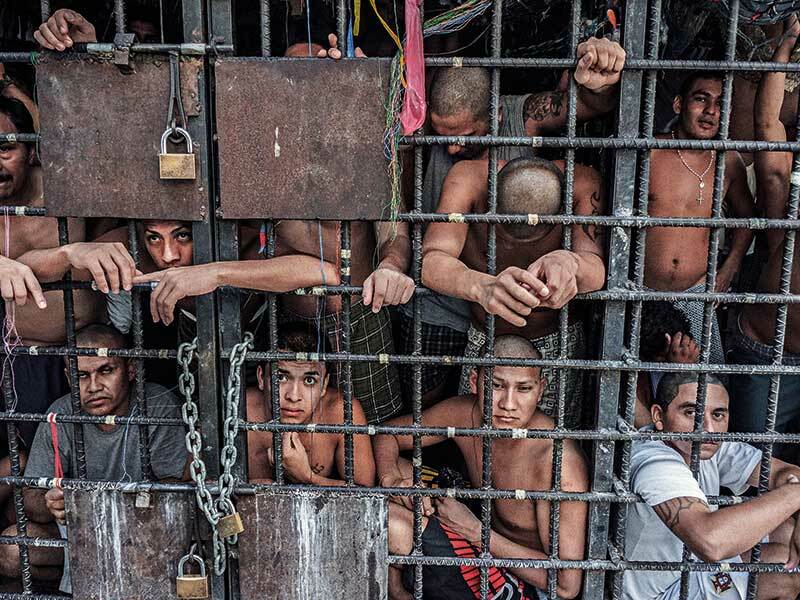 Better opportunities will also tackle a root cause of gang crime in El Salvador, for individuals often turn to such activities out of desperation and poverty, not because of some innate immorality that they possess. The cycle of repair will continue to feed into itself: with more investment, there will be less violence, and with less violence, there will be more investment. El Salvador may face sizeable problems, but it is not a lost cause – far from it. With strong government efforts and increasing investment, this economy can be freed from its current shackles to advance into a new beacon of prosperity, which once again acts as a model for others, both in the region and beyond.